This Expert Advisor is a pure scalping system. The expert place and manage pending orders. 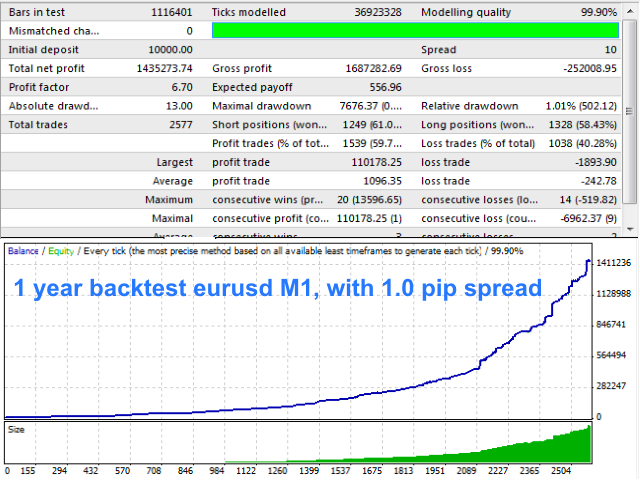 Runs perfect on pairs with tight spread and low commission broker (commission plus spread equal or less than 1.0 pip). 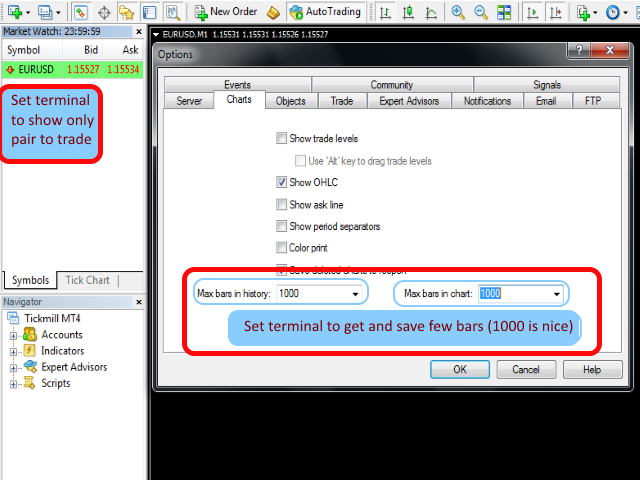 Choose a broker with zero stop level and fast execution to use expert. Please test expert on demo account first, before uses it on real account. Have on your mind, all scalpers are sensitive and depend on brokers spreading and slipping. Set terminal to show in 'Market Watch' only the pair to expert trade. And set from 'Options>Charts', 'Max bars in history' = 1000, and 'Max bars in chart' = 1000. ModifyPending - Switch to modify pending orders. ModifyMarket - Switch to modify market orders. PendingOrdersDist - Distance of current price for pending orders. DelayModifyOrders - Delay to modiyf pending orders. StepModifyOrders - Step in pips to modify pending orders. OrdersStopLoss - Stop loss for orders. UseTakeProfit - Switch to put take profit. OrdersTakeProfit - Take profit for orders. ManageRemainOrder - Manage remain order if triggerd one of both pending. TypeModifyOrders - Modify pending orders on one or both ways. UseTimeFilter - Use or not specific time to trade. TimeStartTrade - Time start trade. CommissionInPip - Commision of broker on pips (It is not necessary to introduce it). CommissionInCur - Commision of broker on currency (It is not necessary to introduce it). GetCommissionAuto - Getting automaticaly commission. CountAvgSlippage - Count and show average slipage of orders. Improve code to send half of mesages on broker's server. Reset timer to pass test on all brokers.